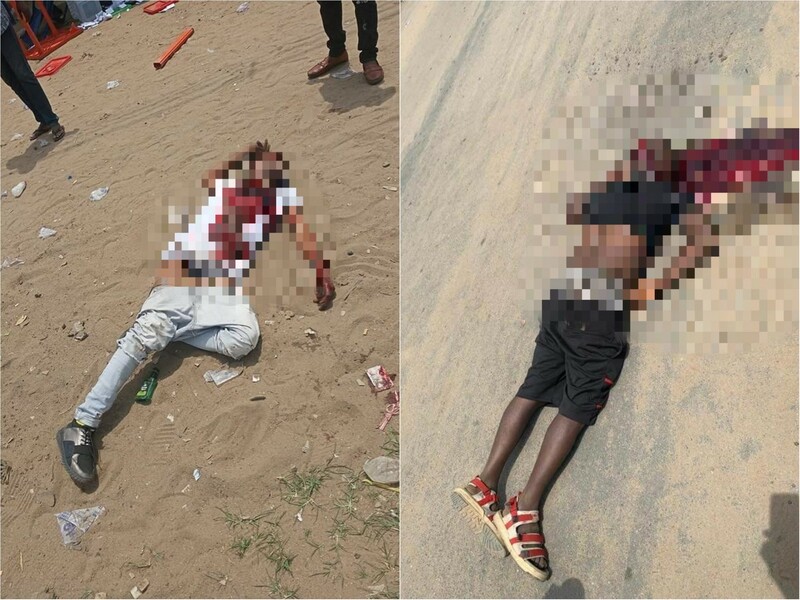 The supremacy tussles between the supporters of the People’s Democratic Party (PDP) and the All Progressive Congress (APC) in Sapele Local Government Area of Delta State claimed the lives of two youths who were shot dead during yesterday’s elections. The incident occurred at a polling station in Ward 19, Unit 5, along old Eku-Amukpe-Sapele Road. Five other persons close to the scene of the incident were reported to have sustained injuries; they are currently receiving treatment in a private hospital in the area. The deceased who were identified as Jerry Otevane and Michael Chibuike, were said to be supporters of one of the political parties in the area. They were attacked by some yet-to-be identified gunmen who shot sporadically at the polling unit. Acting Police Public Relations Officer (PPRO) Delta state police command, Chuks Orisewezie, who confirmed the incident, said the police had commenced investigations into the case. He noted that although a clear case of politically-motivated killing had been established, the police were out to determine which of the parties carried out the act and the brains behind it. However, despite the late arrival of electoral materials and officials at most of the polling units and the hiccups in the functioning of card readers, elections in Delta South and Central senatorial districts were conducted peacefully. At Evwreni in Ughelli North Local Government Area, Dr. Samuel Ajogbe, who voted in Unit 20, Ward 1, described the election as peaceful and smooth even in the face of the early challenges experienced in the area. He commended the large turnout of voters in the community, stating that it had clearly demonstrated that the sensitisation exercise of voters in this year’s elections really had a very positive impact. According to him, “so far, so good, I’m very impressed with what I’ve seen regarding the conduct of the elections in my ward and unit. The INEC officials have conducted themselves very well in all the stages of the accreditations and voting and the people too are complying. “Am very optimistic that my party, the All Progressive Congress (APC), will win in my ward and still go ahead to win in the central,” he stated. Speaker, Delta State House of Assembly, Hon. Sheriff Oboroworei, who casted his vote at about 10:07am in Ward 3, Unit 9, Osubi, decried the late arrival of materials that led to the lateness in the commencement of the elections. He also faulted the failure of the card readers at the various units which made him and other registered voters in the ward to adopt manual voting so as to enable the exercise to take off. He was however, very optimistic that his party, the PDP would win. Spokesman of All Progressive Congress (APC) campaign organisation, Chief Festus Keyamo, at Ward 1, Unit 20, Effurun GRA, had lamented the late arrival of materials at various polling units in his area. He explained that he was reliably informed that the INEC office in the area was having some hiccups that bordered on logics. After the elections had begun, Kayamo scored INEC’s performance in the area above average.